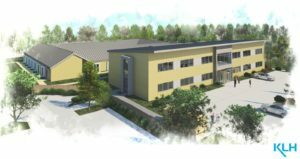 Headway Suffolk is today announcing ambitious and exciting plans to build a new rehabilitation hub and housing for clients – with the centre to be named after renowned physicist Professor Stephen Hawking. The Stephen Hawking Neuro Centre will be built on the edge of Ipswich, and will include facilities for rehabilitation and support for clients with brain injuries and other neurological conditions. The new centre will also include 24 homes where Headway Suffolk clients will have the opportunity to live as independently as they are able. Dr. Jane Hawking, the first wife of Professor Hawking, is Headway Suffolk’s Patron, and the world-famous scientists’s family have given their blessing for the new centre to be given his name. Professor Hawking, who lived with motor neurone disease for more than 50 years, died in March. Helen Fairweather, Chief Executive of Headway Suffolk, explained why the new centre was essential. “Life after brain injury is difficult for the person and their family. The change of personality and loss of function means many partnerships end. The centre will replace Headway Suffolk’s current hub at Epsilon House on Ransomes Euro Park. The charity will sell this to help support the new project. 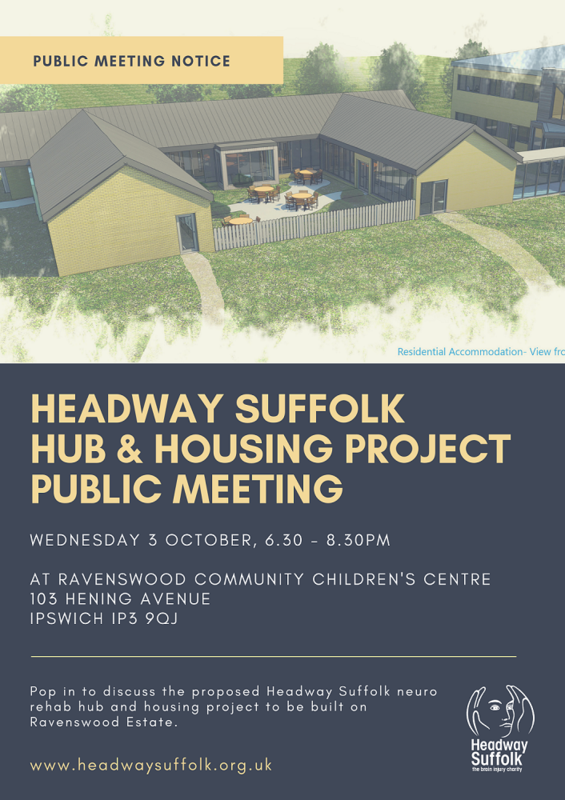 On October 3, there will be an opportunity for local residents to view the plans, and to speak to staff and clients from Headway Suffolk. The event takes place from 6.30pm at Ravenswood Community and Children’s Centre. Everyone is welcome. There is a great opportunity for individuals, families, schools and local businesses to get involved in supporting this hugely exciting and prestigious project. Headway Suffolk is inviting individuals, groups and schools to help build the Stephen Hawking Neuro Centre by buying a brick – or lots of bricks – they only cost 50p each! Also, local businesses and other organisations have an opportunity for one of the rooms at the Stephen Hawking Neuro Centre to be named after them. For a donation of £66,000, your organisation can forever be an integral part of the centre. All individuals, groups and companies who help the fund-raising effort will have the option of being recognised on Headway Suffolk’s website and fund-raising board. Headway Suffolk offers care, support and rehabilitation to people with a brain injury o4 neurological condition. It employs trained brain injury rehab assistants, speech and language therapists, physiotherapists, nurses and counsellors. The majority of the work is carried out at their rehab hub based on Ransomes Euro Park in Ipswich. This base has now been outgrown due to an increase in clients using the service. Headway Suffolk also has a home care and community care team which was recently rated as good by the Care Quality Commission. For further information, or to offer support, e-mail helenfairweather@headwaysuffolk.org.uk. Click here to go to our housing page.